Garam Masala Powder (Indian Spice Mix) is an important Indian spice blend that is a must in every Indian kitchen. There are many variations of making Garam Masala recipe. I am making Masala using following ingredients since many years. 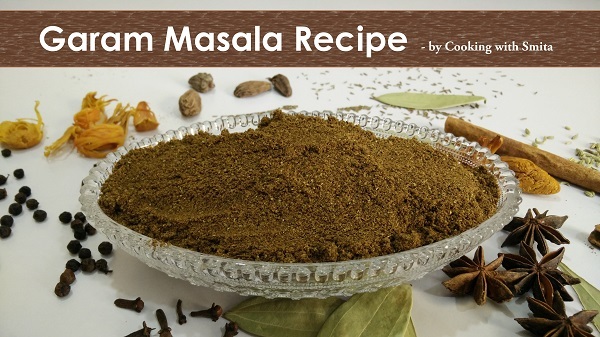 Here I am sharing my Secret Recipe of Garam Masala. First, remove stones & debris from all the spices. Break open the swirls or the curved parts of cinnamon and wipe off the inner part with a dry cloth and make sure there’s no larva, fungi or infestations. Sun-dry all spices 5 – 6 hours per day for three days. You can also roast all spices separately for 1 to 2 minute over a low flame. Mix all sundried/roasted spices (except Bay Leaf) in a large bowl. to crush Bay Leaves grind the separately, add in these spices. Mix all spices and grind to fine powder. Sieve using a fine mesh strainer and grind the leftover coarse particles again, repeat the process.